Donegal County Council initiated the Donegal Bay and Blue Stacks Festival in 2001 to provide an annual celebratory focus for the arts in the South and South West of the county, mirroring the success of a previous Donegal County Council initiative, the Earagail Arts Festival, in the North and North West. The Festival usually runs from late September to the end of the first week in October. 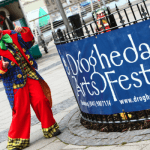 Drogheda Arts Festival was the brainchild of Drogheda Borough Council Arts Officer, Rosemary Collier, and she programmed and managed its first incarnation in 2004. Since then, the Festival has grown and developed, becoming the largest multi-disciplinary arts festival in the north-east, as well as the largest between Dublin and Belfast. Hullabaloo was originally conceived and nurtured under the auspices of Offaly County Arts Office in partnership with Birr Theatre and Arts Centre as a children’s arts festival in 2007. 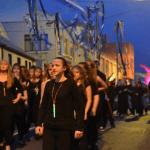 The festival has since expanded countywide into Clara and Edenderry, making it one of the largest children’s arts event in Ireland. 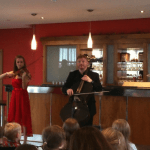 Ruaille Buaille Lucan Children’s Music Festival is a five day programme featuring over 30 events that take place in schools, libraries, indoor and out door community venues in May each year. 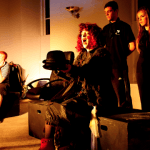 It first appeared as one of the FUSED series of village summer arts festivals in the county in 2009 and subsequently redefined its direction and identity in response to the high level of interest in music for children within the programme.